For those who are discontent with the status quo-- Who are stirred by exploration and forging unconventional paths. Unmistakable Media is the voice of disruption for trailblazers, creators, and instigators. We create a stage for inspiring stories and people who are advancing conversations, causes, and movements, turning pain and adversity into an unmistakable story. Our brands reach a global audience of creative entrepreneurs, artists, business professionals, and changemakers. 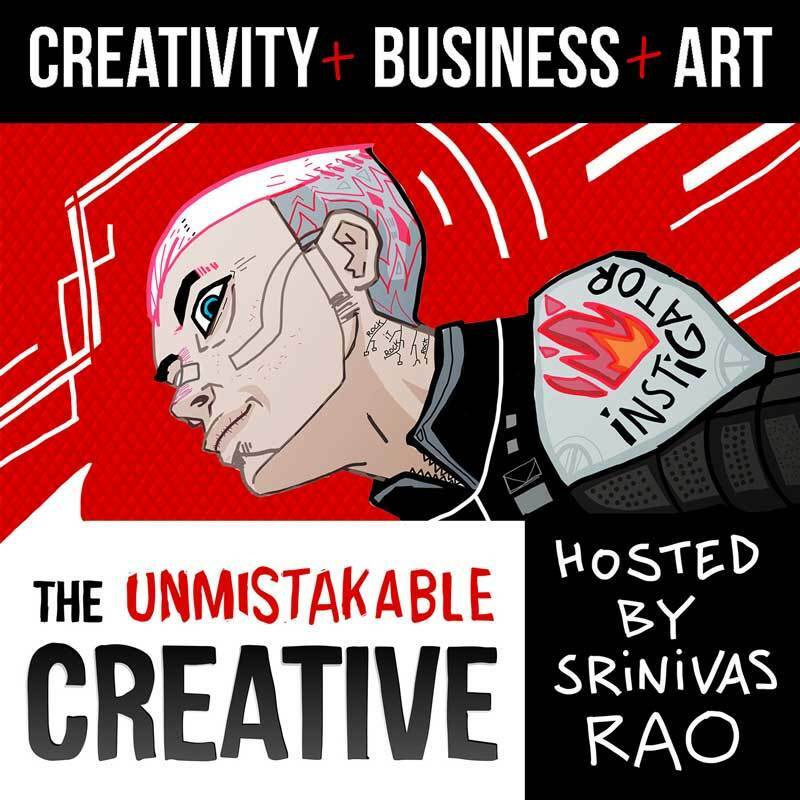 Founded in 2010 as BlogcastFM, The Unmistakable Creative Podcast has featured over 500 creative changemakers including happiness researchers, artists, filmmakers, entrepreneurs, and best-selling authors. 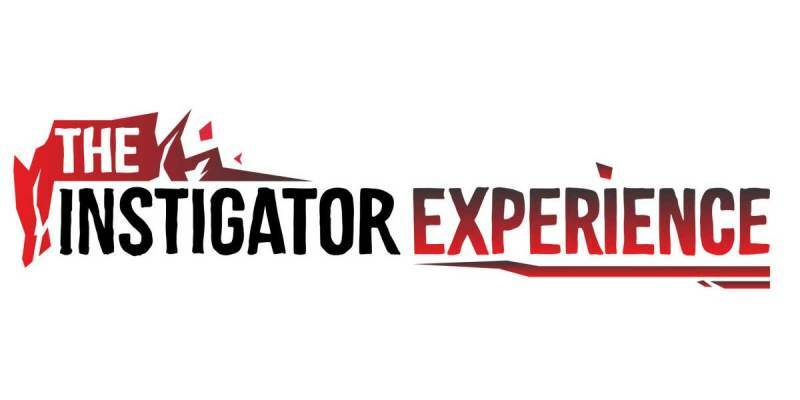 Former guests include Dilbert creator Scott Adams, Tim Ferriss, Seth Godin, and Glenn Beck. The show has over 400 5-star ratings in iTunes and reaches a global audience. An exclusive annual 2-day event for business leaders, entrepreneurs, and idea makers who are changing the world and building/leading movements. Live fireside chats bringing popular podcast guests to an intimate audience for an interactive Q&A session. 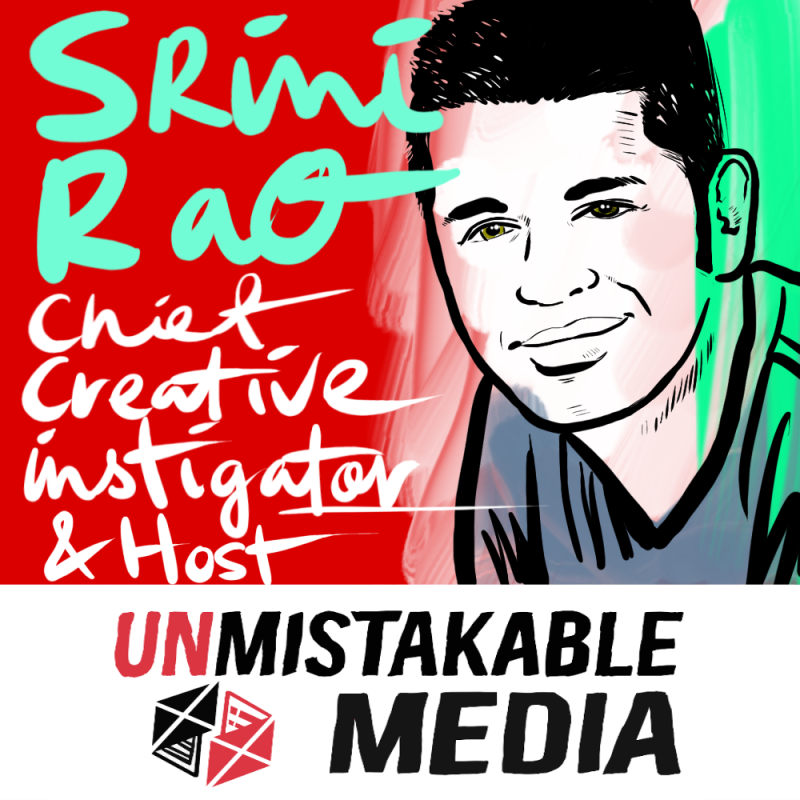 Unmistakable Media showcases, curates, and connects creative and insanely interesting people who are changing the world by challenging the status quo and building movements. Srini is the Chief Creative Instigator and always making things with his own two hands. Some of his favorite creations include a best-selling book and a lego castle. When he's not caught up in candid conversations with insanely interesting people, he's usually chasing waves somewhere in So Cal. 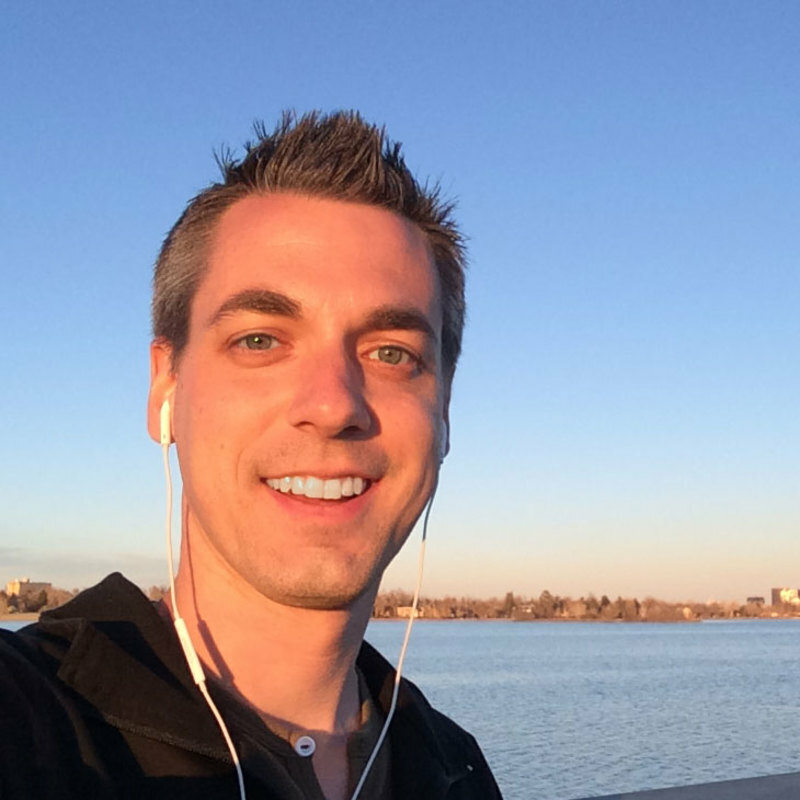 We create unmistakable content our listeners can't get enough of. Our carefully selected and curated sponsors have the opportunity to integrate across our media brands to connect to our engaged and loyal tribe. Working with the team at Unmistakable Media has been an absolute treat. They've always had our best interests in mind and actively work towards optimizing and promoting our message throughout their network and platform. It's safe to say our advertisement dollars are well worth the investment. 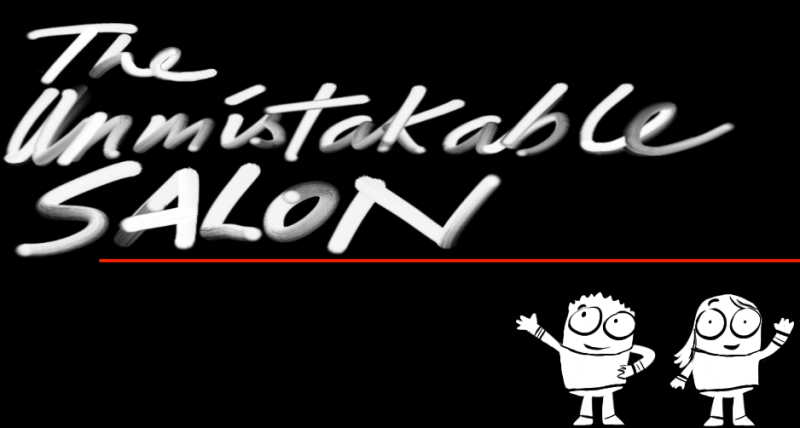 © 2019, Unmistakable Media Inc..